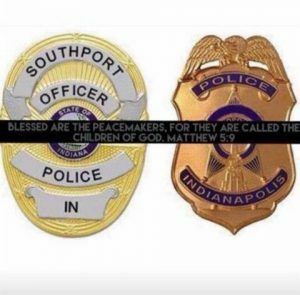 On Thursday, July 27, the Indianapolis community was rocked by the news of the deaths of IMPD Deputy Chief Jim Waters and Southport Lieutenant Aaron Allan. Chief Waters died as a result of a devastating crash in his departmental vehicle which was rear-ended by a semi on the interstate. The accident occurred on Sunday July 23 and Chief Waters succumbed to his injuries four days later. Lt. Allan was responding to a crash in which the vehicle was inverted. As he approached, the driver fired on him. 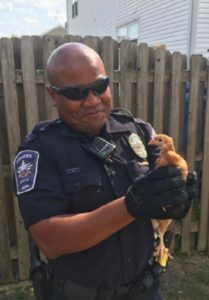 Despite great efforts by the medical team at Eskenazi Hospital, Lt. Allan was pronounced dead later that afternoon. We are grateful for the service and sacrifice of these great heroes. May they rest in peace and may their families, and brothers and sisters in blue feel the support and love of this community. Funeral arrangement information for our heroes is here.